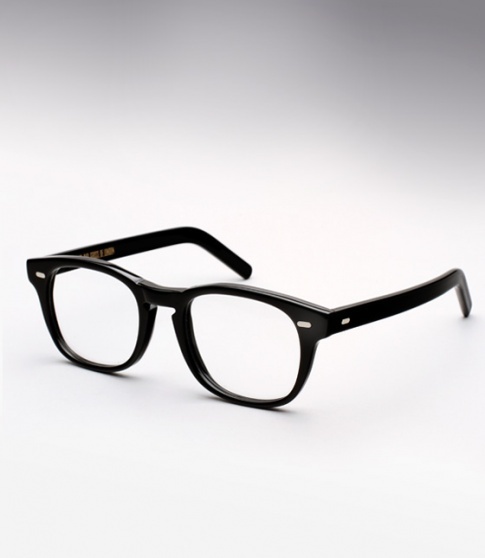 Cutler and Gross 1046 - Black Need Help? Cutler and Gross was founded in 1969 by Graham Cutler and Tony Gross who opened their optical boutique in Knightsbridge London stocking handmade bespoke frames. Since their inception, their one of a kind luxury eyewear was an instant success and an integral part in forever shaping the landscape of the industry. Other brands often try to imitate and take inspiration from Cutler and Gross, but there is nothing quite like the real thing; A difference which can not only be seen, but also felt. The brand adheres to the same principles today as it has for over four decades, and for which it is globally renowned: unsurpassed quality and timeless aesthetics. The Cutler and Gross 1046 is a timeless style done to perfection; from the workmanship to the sizing and proportions which tends to fit virtually everyone who puts it on. It features Italian acetate, a classic keyhole bridge, and vintage oval shaped pins which offer a subtle nostalgic touch. It is handmade and hand polished with hand drilled riveted hinges.